Oxford University Press, USA, 9780195693089, 348pp. Located in the south Indian state of Andhra Pradesh, the Telugu film industry is the second largest in India. The Telugu film industry exhibits particular cultural traits that relate not only to filmmaking, but also to the impact of popular culture on politics. Megastar is a book on the powerful presence of popular culture and the different ways in which our daily lives are mediated by the circulating power of film. Steering clear of formulations that have reduced a highly complex set of issues to a linear narrative, this book studies the particularities of south Indian cinema: its economics, on-screen manifestations, its consumption, and importantly, the cinema-politics association. The book is part of the 'South Asian Cinema' series edited by Rachel Dwyer, which presents new research on past, present, and emerging cinematic trends and includes the titles Hindi Action Cinema: Industries, Narratives, Bodies (2008) and Behind the Curtain: Making Music in Mumbai's Film Studios (2009). 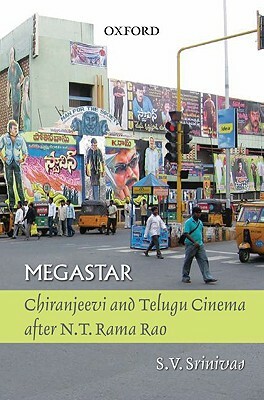 Megastar, with its an interdisciplinary approach, will appeal to students and researchers of cultural and film studies, sociology, politics, and history, as well as general readers interested in Telugu cinema. S.V. Srinivas is Senior Fellow and Coordinator, The Asia Popular Research Programme, Centre for the Study of Culture and Society, Bangalore.